Water temperatures for the Gulf of Alaska and its river systems have been rising in certain areas, leading in 2015 and 2016 to a patch of water 2 degrees Celsius over the average, called “the Blob” by scientists. This warmer water, said Shields, looks to be a contributing factor to salmon marine survival. Rising temperatures only mask the problem of overescapement, according to Dave Martin, president of the industry group Upper Cook Inlet Drift Association. Martin said the forecast validates the group’s long held claim that ADFG and the Board of Fisheries have let too many sockeye salmon escape over the years, which both hurts the fleet’s bottom line and future salmon returns. By “scientifically,” Martin means managing to the federal fisheries standard of maximum sustainable yield, a different metric with more economic considerations than in state management. Both Martin and Hall want the Alaska Board of Fisheries, which sets management playbooks for Alaska’s in-state fisheries within three miles of the shore, to use this forecast as an example of failed, allocation-driven policy making. The Board of Fisheries will hold a meeting in February for Upper Cook Inlet finfish, which includes salmon. 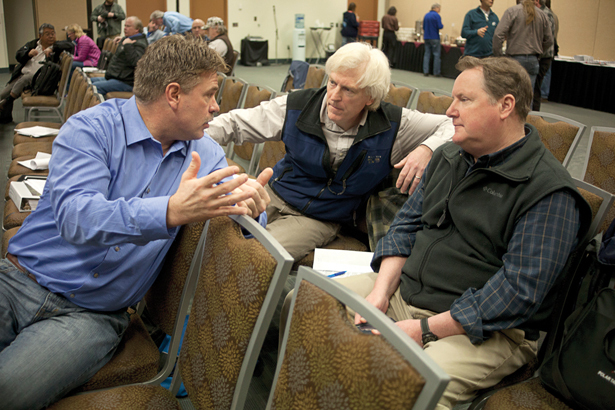 These meetings, held once every three years, are typically among the most combative and political in the state’s fisheries, and have already been the subject of heated discussions in 2016 simply around where the meeting will be held. In 2017, the Board of Fisheries will also have to deal with a recent federal court decision that will require state managers to have a federal fishery management plan and stick to the standards required by federal law.